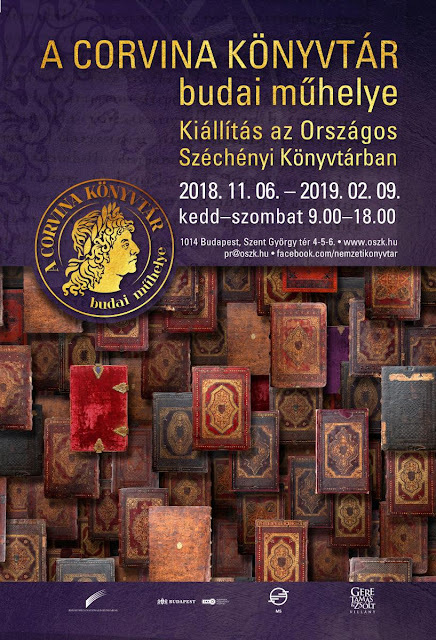 A new exhibition at the National Széchényi Library puts the famous library of Matthias Corvinus (1458-1490) in focus again. This time, the title and the theme of the exhibition is the Buda workshop of Corvina manuscripts The aim of the exhibition is to present the joint efforts of humanists, illuminators, bookbinders and the scribes of Buda, in order to create luxurious royal manuscripts in the capital as well. 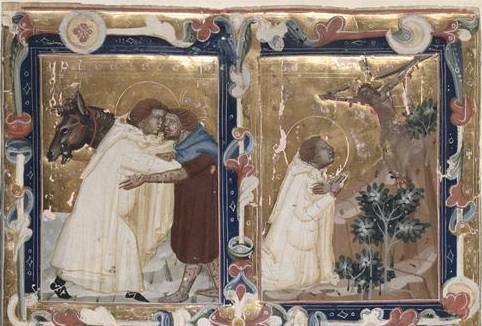 For this exhibition, A lot of splendid Corvinian manuscripts have arrived in National Széchényi Library from various parts of the world, from New York, Paris, the Vatican, as well as from Hungarian collections. In fact, Visitors of the exhibition have the unparalleled opportunity to look at almost all the Corvinas, nearly fifty codices, preserved in Hungary. together. 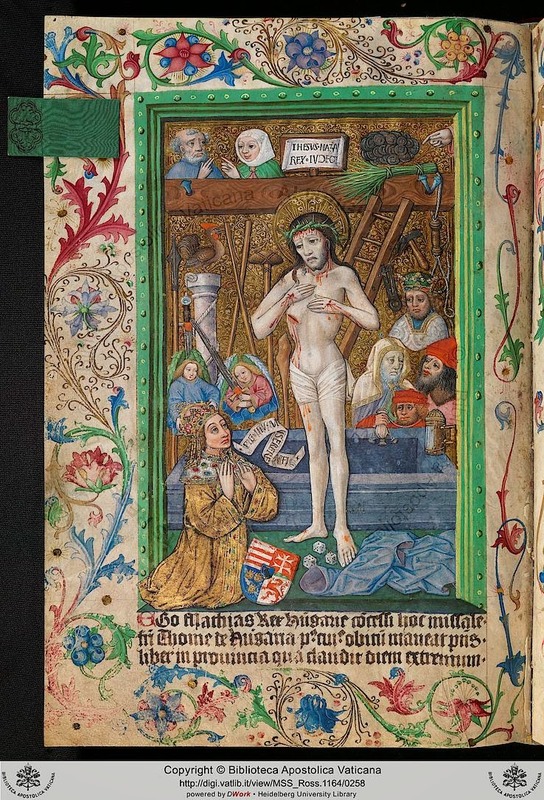 The exhibition demonstrates that in addition to the splendid Renaissance codices ordered from Italy, similarly precious and decorative manuscripts were made in the royal court of Buda as well. The exhibition is very well organized, beautifully installed, and is equipped with various interactive tools, enable for example the browsing of manuscripts on display. The first part presents the precursors of the Buda workshop - especially the books, including Greek manuscripts of Janus Pannonius, which were later incorporated into the king's library. 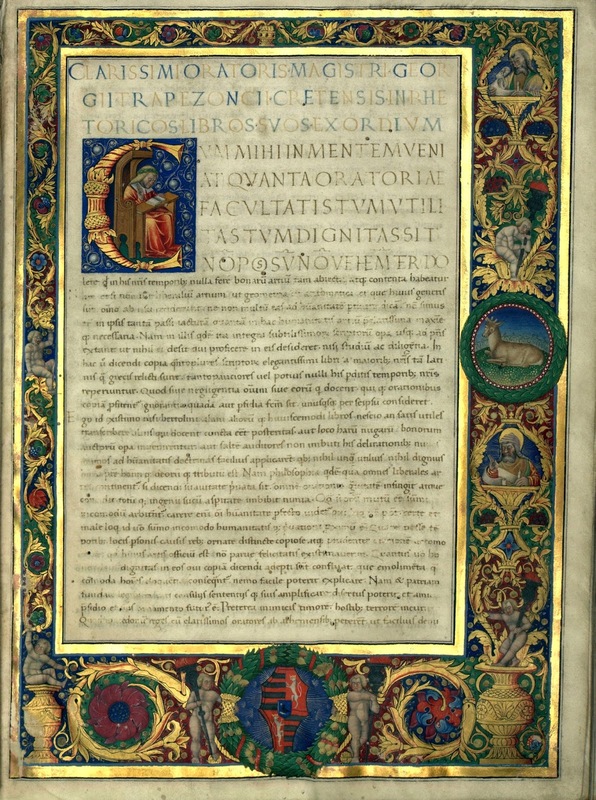 The Graduale of King Matthias, one of the important non-Italian books commissioned by the king is also on view here (OSZK Cod. Lat. 424). The second part presents a number of Italian illuminators who worked at the Buda court, not just for the king but also in the service of high-ranking prelates. The main focus of the exhibition is on the last five years of the rule of King Matthias (who died in 1490) when production greatly increased. 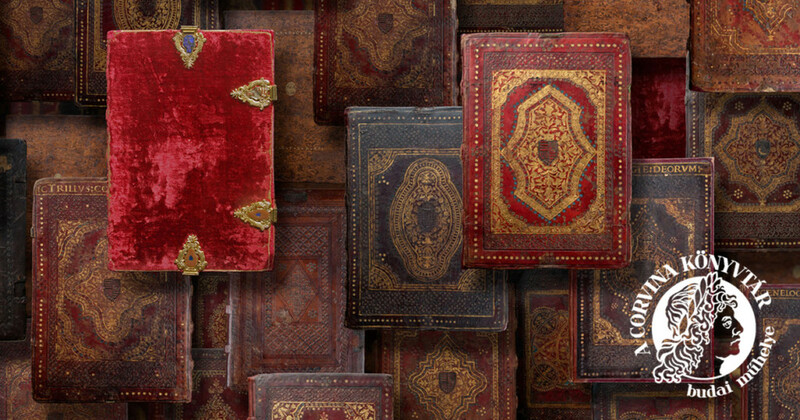 This was the time when uniform leather bindings were made for the manuscripts as well. 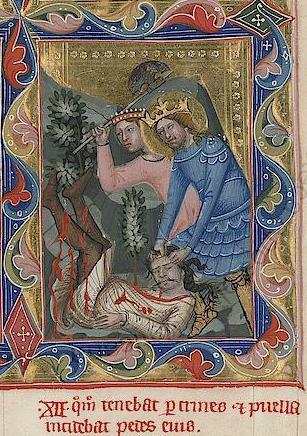 Among the highlights on view, I would point out the Cassianus Corvina from Paris (BNF Cod.Lat. 2129), the Vatican Missal (Urb. Lat. 110), or the National Library's Philostratos Corvina (OSZK Cod. Lat. 417). The curator of the exhibition is Edina Zsupán, and the exhibition will remain on view until February 9, 2019. You can read more about the exhibition on the National Library's website. At the time of the opening of the exhibition, the newly redesigned and updated Bibliotheca Corviniana Digitalis was launched. It is a great improvement compared to the earlier version, with a much nicer interface and - most importantly - with a lot more digitized manuscripts. All the manuscripts held in Hungarian collections are available right on the website, while links point to digitized manuscripts all over the world (finally making my own little list unnecessary). A new image-viewer and thousands of new photographs - including superb details - make the manuscripts much more accessible than ever before. The database also includes the complete bibliography of the Corvinian Library, with direct links to publications available online. With this new version, the website can truly serve as the starting point for all research focusing on the Bibliotheca Corviniana of King Matthias. 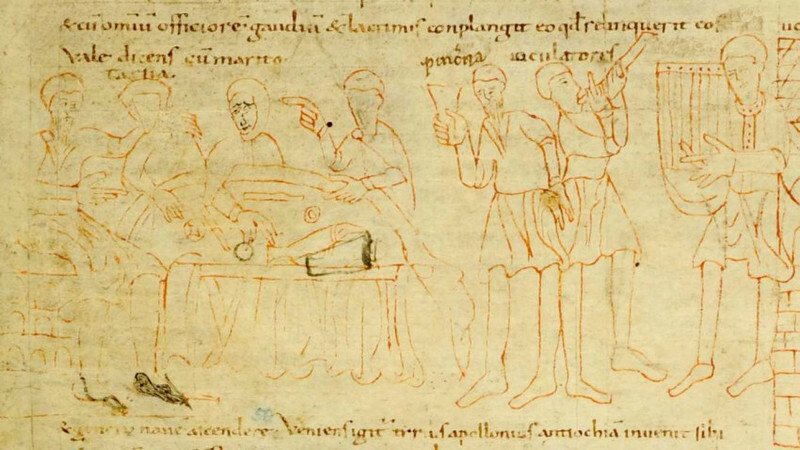 The manuscript was made for King Matthias in the Buda workshop. 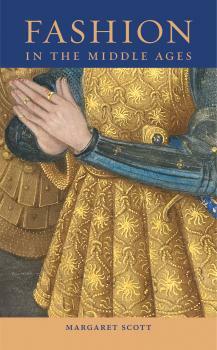 The coat of arms of Matthias and his wife Beatrice of Aragon can be found on several pages. It is a richly illustrated volume, with stylistic connections to Lombardy. See also the catalogue page with bibliographic references. 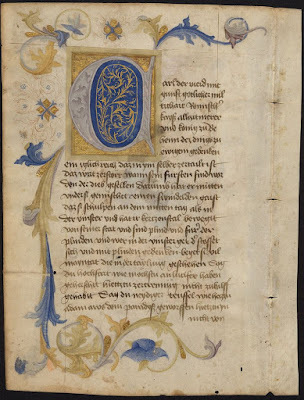 This is a Franciscan Missal commissioned by King Matthias, and given to a Franciscan friar named Thomas (so technically, this is not a Corvinian manuscript, as it was not part of the Biblioteca Corviniana). 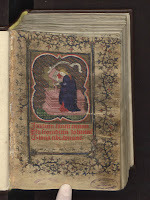 The book was illuminated by an Austrian painter active in Vienna. 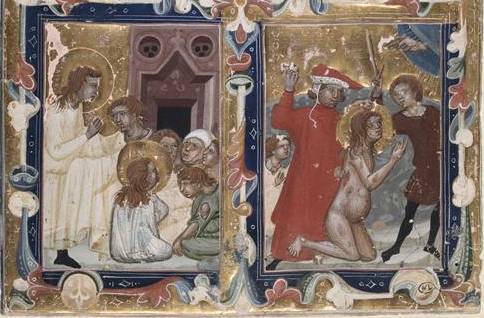 With the two books above, the number of Corvinian manuscripts online now exceeds 100. 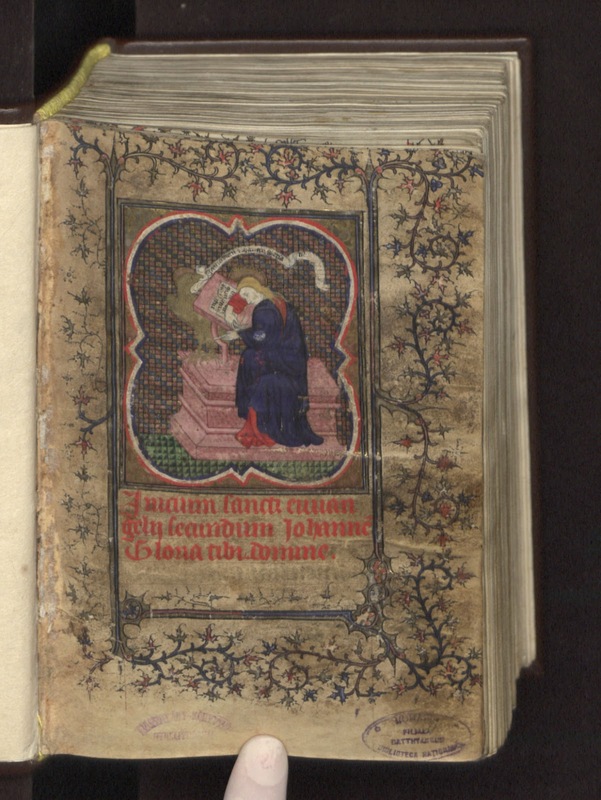 On this occassion, I decided to move my checklist of digitised manuscripts over to this blog - you can reach it any time from the menu above. The version on my website is now obsolete - links have been checked and fixed on the version here in the blog. 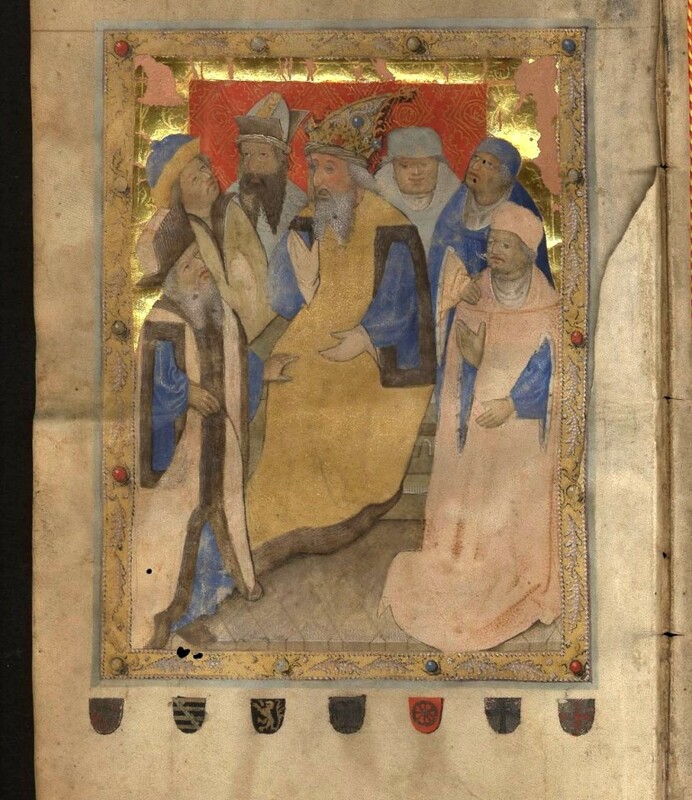 I also added links to two manuscripts digitised at the Österreichische Nationalbibliothek in Vienna. 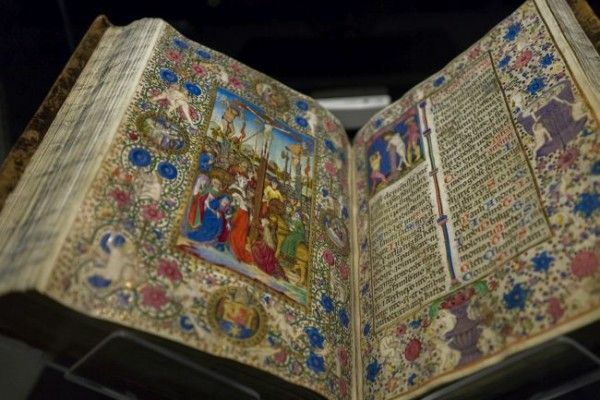 Four precious manuscripts from the famed library of King Matthias Corvinus, the Bibliotheca Corviniana are on view for a short time at the National Széchényi Library in Budapest. 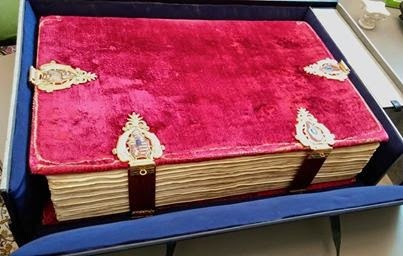 The four manuscripts are the ones which were returned to Hungary by Sultan Abdülaziz in 1869, so the exhibition is titled: The Sultan's Gift. Four Corvinian Manuscripts from the Serai. The exhibition takes us back not only to the period when King Matthias (1458-1490) established the first major Humanistic library of Europe outside Italy, but also to the 19th century, when Hungarian aristocrats and scholars carried out a long-term struggle to reclaim at least a few volumes from the library of Matthias Corvinus. 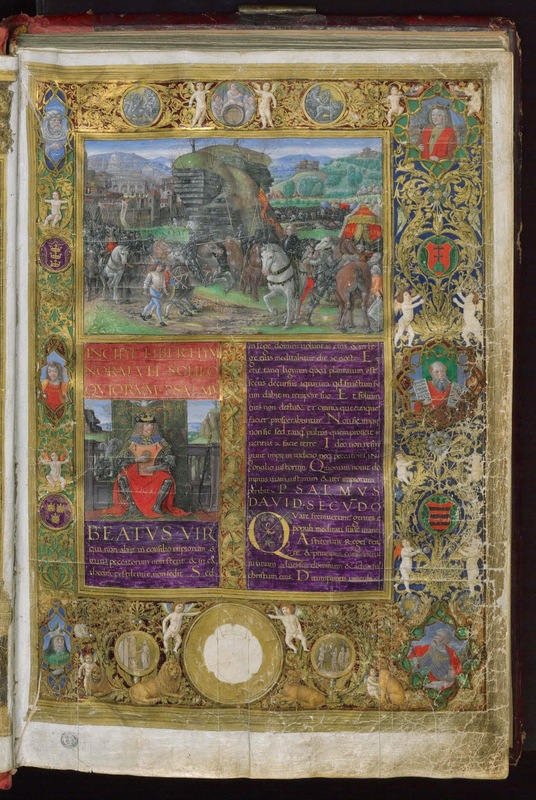 Works in the library numbered 2500 at the death of the king, while several manuscripts were still unfinished for him in Florence (these entered the library of the Medicis). Soon after his death, this library began to lose volumes - first western Humanists started taking volumes, as gifts from King Wladislas II (who was less interested in books). Then during the period when Hungary started battling the Ottoman Empire, and was beset by internal strife (between the Battle of Mohács in 1526, and the capture of Buda in 1541), this process accelerated. A lot of the volumes were then taken to Istanbul when the castle of Buda fell to the Turks. As a result of this long process, by the early 19th century, not a single Corvinian manuscript was known within Hungary. The first manuscript to return to Hungary (more specifically, to Transylvania), was a Tacitus volume acquired by Sámuel Teleki for his library at Marosvásárhely in 1805 (the manuscript today is at the Beinecke Library of Yale University). Several attempts after this were unsuccesful to acquire a Corvina manuscript for the nation's capital, Buda. Although the Dialogues of Ludovicus Carbo, a rather modest early Corvinian manuscript, was donated to the Hungarian Academy of Sciences in 1840, this failed to create significant interest (but now it is available in a digital facsimile edition, with commentary). Finally, attention was focused to Istanbul, in hopes that some of the manuscripts can be identified there. In 1862, Ferenc Kubinyi, Arnold Ipolyi and Imre Henszlmann finally identifed some manuscripts in Istanbul, at the library of the imperial palace. Then in 1869, on occasion of the opening of the Suez canal, the sultan gave four volumes to Emperor and King Franz Joseph I. The ruler then duly gave the manuscripts the National Museum (from which they entered the National Library along with other manuscript material). The in 1877, Sultan Abdul Hamid II decided to donate a further 35 manuscripts to Budapest, which entered the University Library (it soon turned out that only about 13 of these manuscripts originate from the library of King Matthias - for more information, read the study of Csaba Csapodi on the history of the library). Cod. Lat. 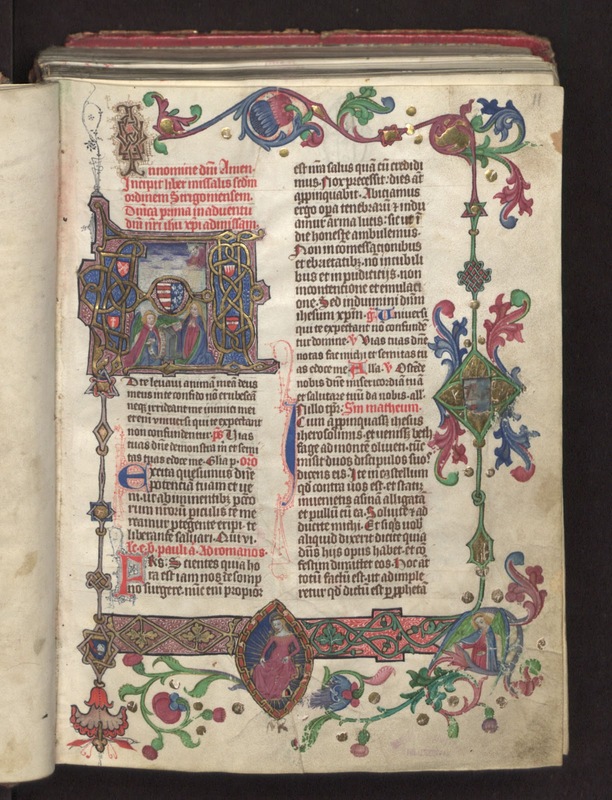 281: The Rhetorica of Trapezuntius, a Latin translation of the work in a manuscript made in Buda in the 1480s. The exhibition was organized in connection with the Budapest Book Festival, the guest of honor of which is Turkey. Becauses of this, a few Turkish manuscripts are also on view, as well as the early 16th century genealogical roll of Turkish emperors (Genealogia Turcorum imperatorum) by Felix Petancius. The books are only on view until May 6th. The curator of the exhibition is Edina Zsupán - she is also featured in a well-documented article about the installation process (in Hungarian). To receive more information on the Corvinian manuscripts, please take a look at these pages of my website and blog: New research on the Corvinian Library (with links to full-text publications), and my page on digitized Hungarian manuscripts, with direct links to over 100 Corvinian manuscripts. You can also get a lot of more photos on the Facebook page of the library. 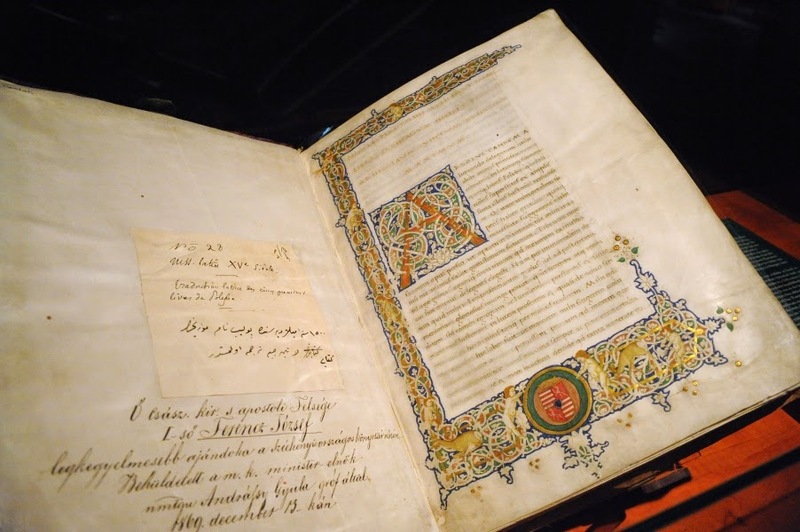 The National Széchényi Library just announced that an exclusive facsimile edition of the so-called Apollonius manuscript has been released, accompanied by a collection of studies by international authors. 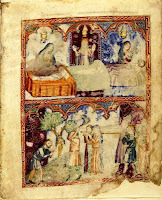 The oldest medieval manuscript of the National Széchényi Library is a fragment, which has recently been identified (COD. Lat. 4). It contains a late-antique "adventure novel" of the story of King Apollonius of Tyre. 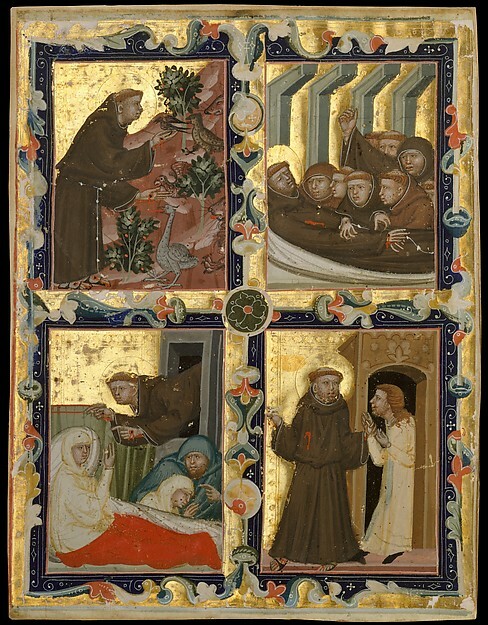 The novel enjoyed great popularity in the Middle Ages. The manuscript contains not just the text of the novel, but 38 uncolored pen drawings, making it the oldest illustrated copy of the story. 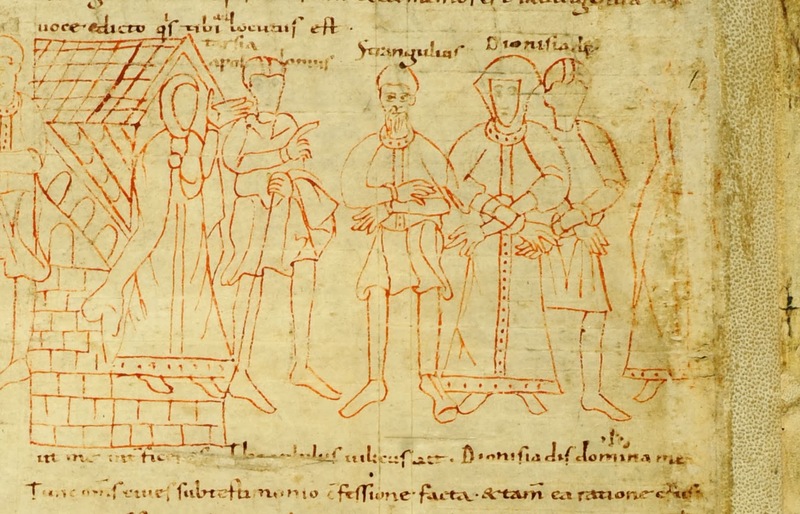 Despite the importance of the manuscript, it has been almost completely unknown. The parchment manuscript was written around the year 1000, in the Benedictine monastery of Werden an der Ruhr, situated in the archdiocese of Cologne. 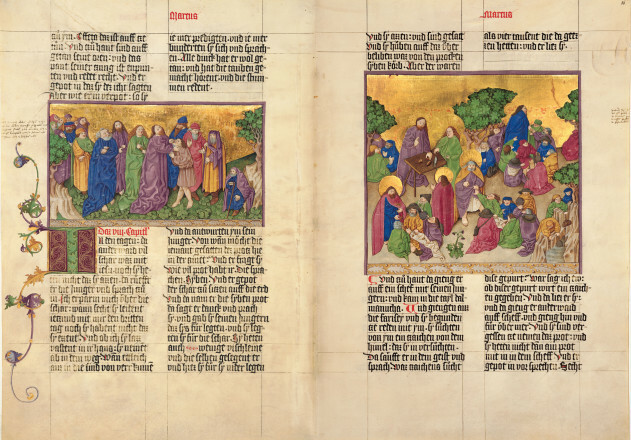 The manuscript remained there during the Middle Ages, but then entered a collection in Cologne. 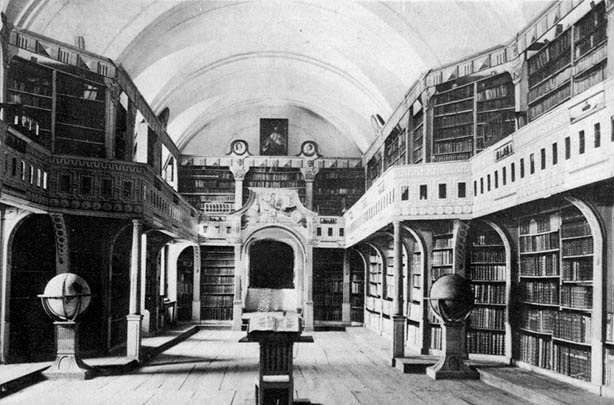 By the 18th century it was held at the Evangelical Convention in Sopron, from where in 1814 it entered the National Library. The manuscript was identified and first analysed by two researchers, Anna Boreczky and András Németh, and by 2010, a number of foreign researchers - most notably Xavier Barral i Altet - were involved in first phases of research, the results of which were presented to the public on December 8, 2010. The present facsimile edition is the result of a international collaboration, and is accompanied by multi-language commentary. 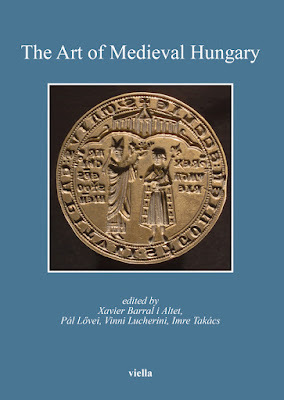 The commentary volume starts with an introduction by Ernő Marosi, and was written by Xavier Barral i Altet, Anna Boreczky, Herbert L. Kessler, András Németh, Andreas Nievergelt and Beatrice Radden Keefe. 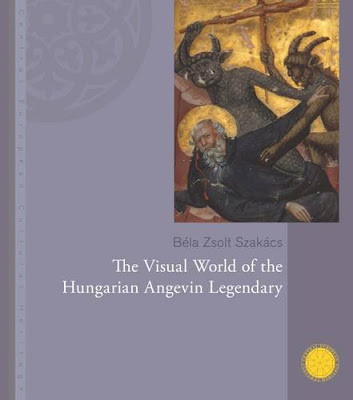 In addition to the basic data and a bilingual (English and Hungarian) description of the manuscript, a critical edition of the text is also included. Data of the volume: Apollonius pictus. Egy illusztrált, késő antik regény 1000 körül. / An illustrated, late antique romance around 1000. Ed. Anna Boreczky and András Németh. Budapest, Széchényi National Library, 2011. The above text is based on the information released by the National Széchényi Library. A review will follow, once I get hold of the publication. 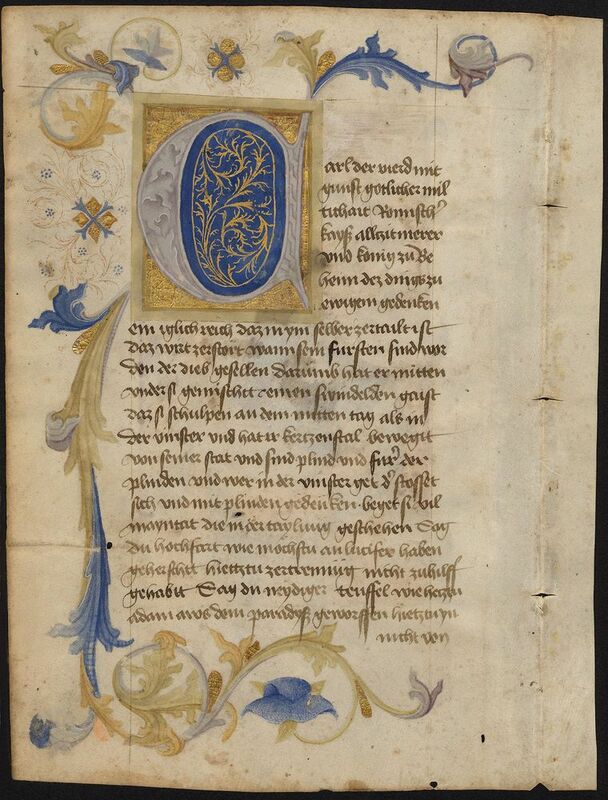 Below is one page of the fragmentary manuscript. 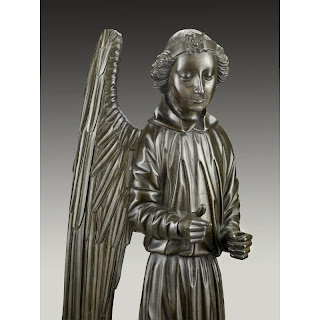 The year 2011 has been particularly rich in medieval exhibitions of a very high standard: while the National Gallery in London showed Devotion by Design: Italian Altarpieces before 1500, the Treasures of Heaven exhibition also traveled to London and was shown at the British Museum. The latter is now also amply covered by a new website, a 'digital monograph' made at Columbia University's Media Center for Art History. 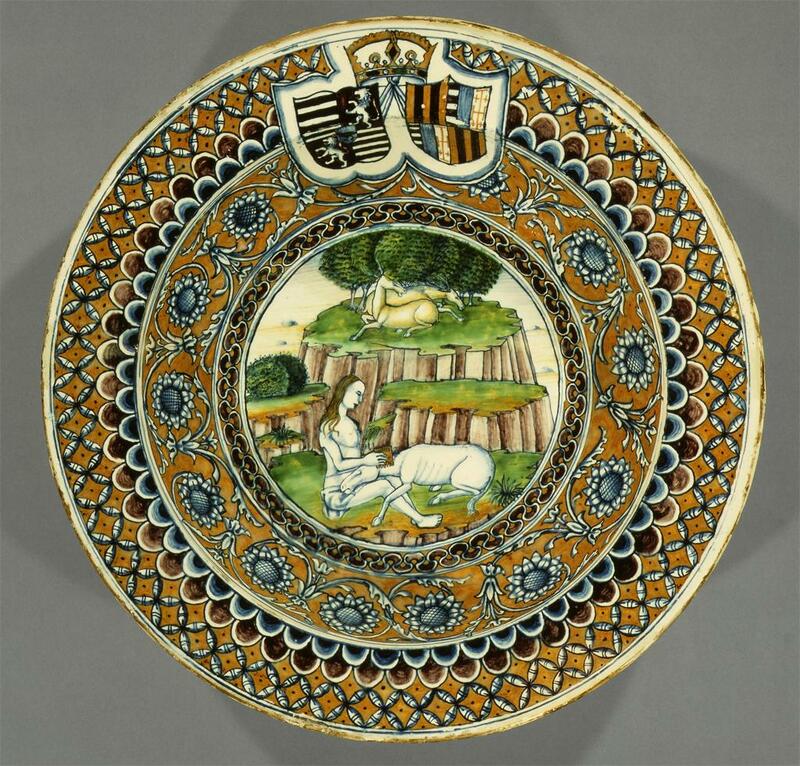 In Germany after an exhibition on the Hohenstaufen dynasty and Italy, which closed in February, now the Naumburger Meister exhibition is on view at Naumburg. In Paris, the Museé de Cluny dedicated and exhibition to the medieval sword, titled L'Épée - Usage, mythes et symboles. 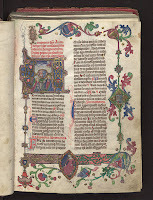 There were also several exhibitions on medieval manuscripts, including two on medieval fashion. The Getty Museum had several other temporary displays of medieval manuscripts, such as Stories to Watch, while the Louvre in Paris also displayed its medieval manuscript pages. 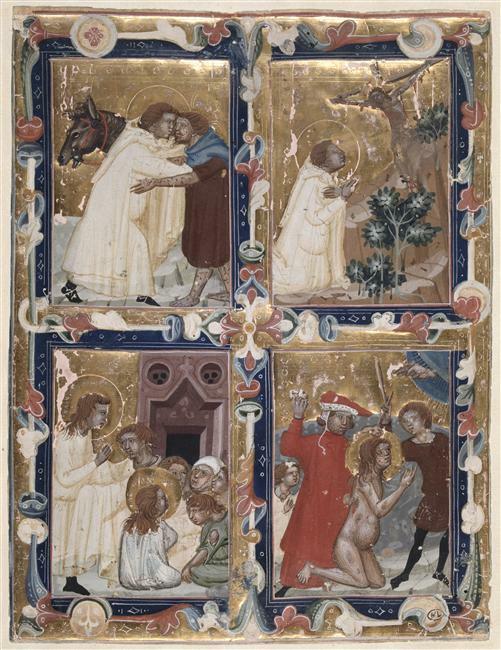 However, the end of the year still has two major exhibitions for everyone enthusiastic about medieval manuscripts. The first one is already open at the Royal Library of Belgium, in Brussels, and is dedicated to Flemish miniatures. 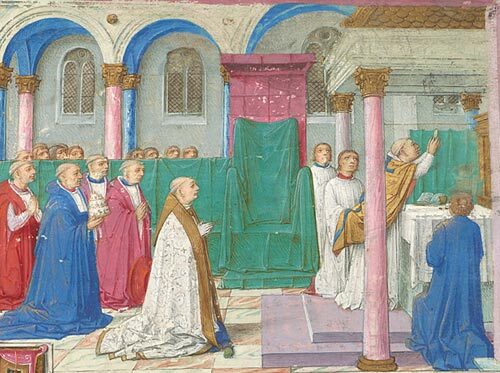 As the press release states, in making this project, the Royal Library of Belgium and the Bibliotheque nationale de France joined for the first time to display and celebrate the heyday of Flemish manuscript illumination by organizing an exhibition of international significance. 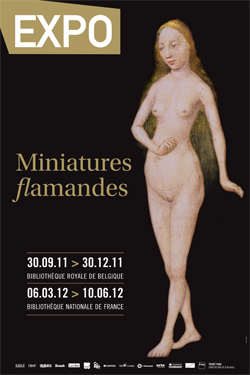 The exhibition began in Brussels (September-December 2011), and will continue in Paris (March-July 2012). 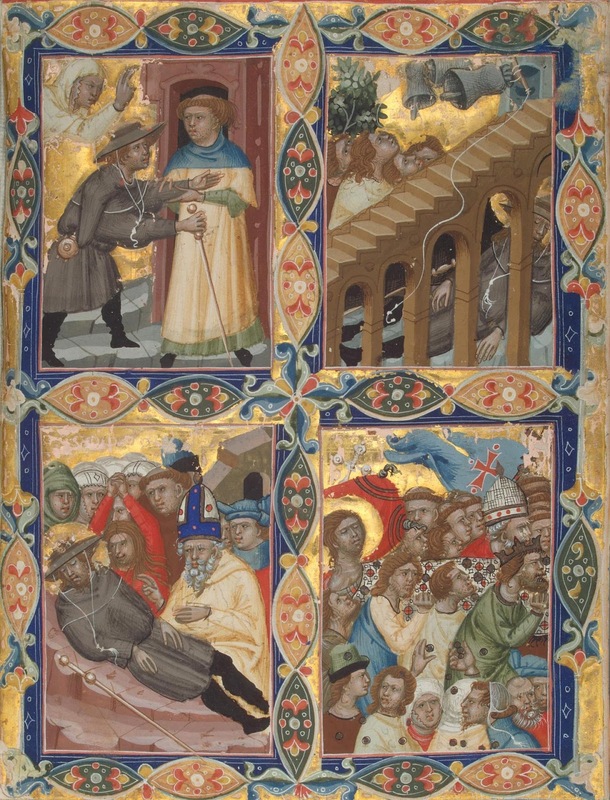 In total, more than 140 illuminated manuscripts of the highest rank will be presented to the public in an original staging, that will showcase these exceptional pieces while maintaining the context in which they were born. The project is of course accompanied by a scholarly catalogue. You can read about the exhibition here or here, as well as in the French-language press release (pdf). 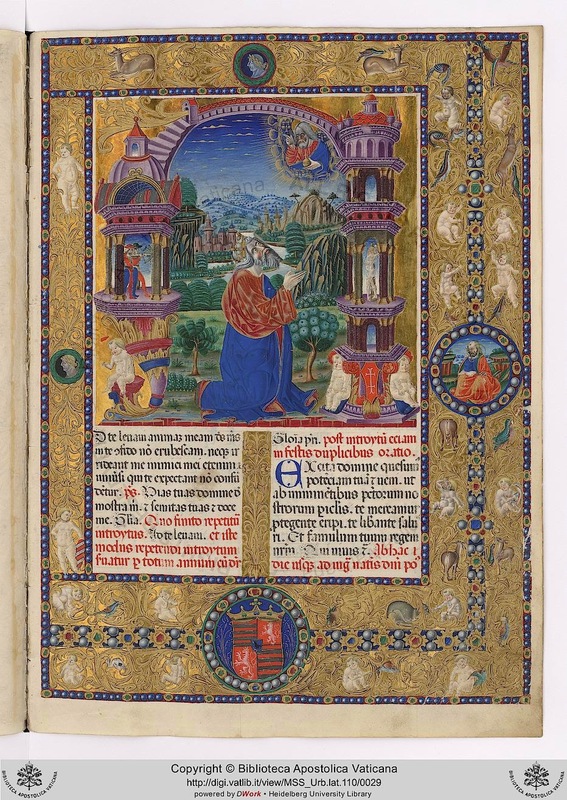 From Nov. 11, the British Library (London) will show Royal Manuscripts: The Genius of Illumination, displaying "a unique treasure trove of medieval and Renaissance manuscripts assembled by English kings and queens over 700 years." 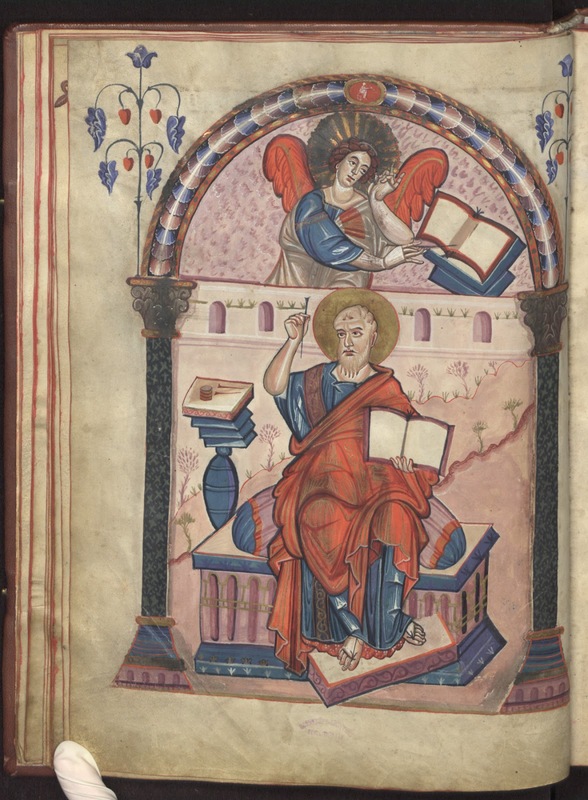 The 150 manuscripts in the exhibition represent the most stunning pieces from the library's collection, the largest group of medieval manuscripts in Britain and one of the most important in the world. The Medieval and Earlier Manuscript Blog of the British Library regularly posts on outstanding items to be featured in the exhibition. 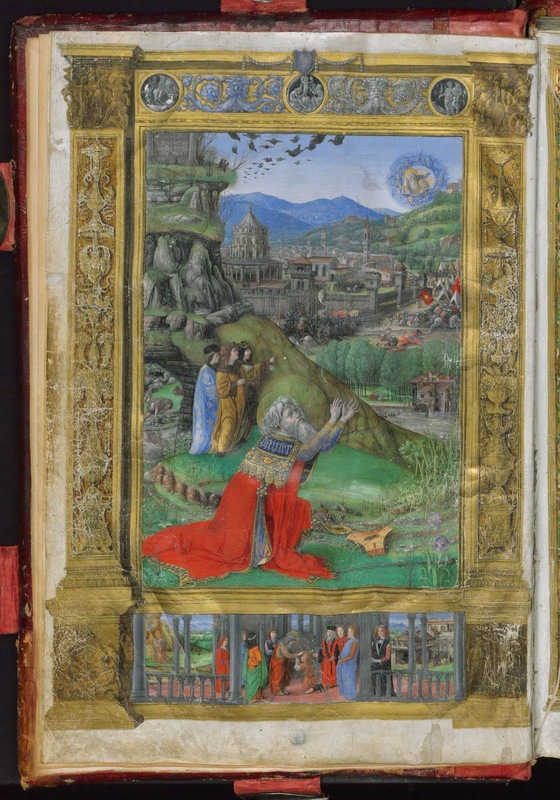 Those not fortunate enough to travel to one of these exhibitions, can now browse fully digitized versions of royal manuscripts on the website of the Europeana Regia project. 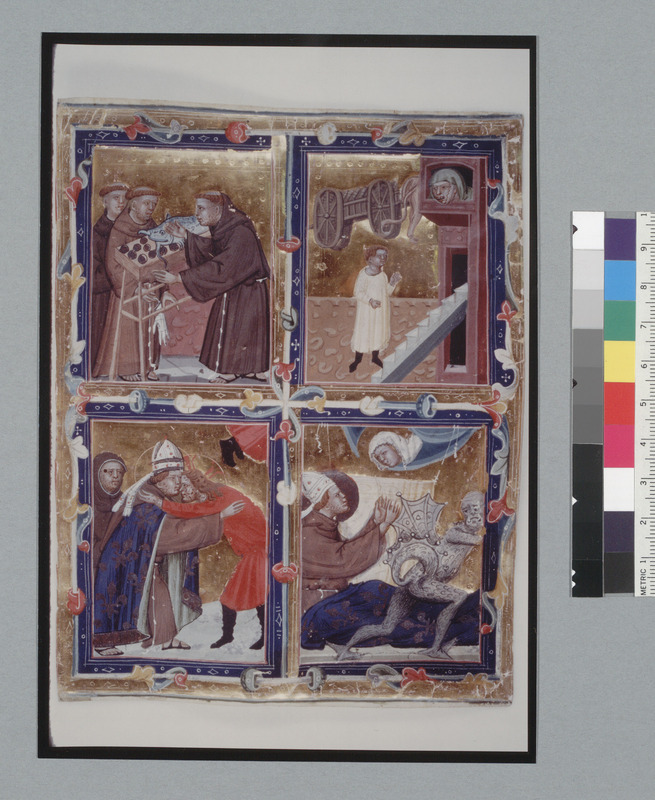 The project aims to "digitise 874 rare and precious manuscripts from the Middle Ages and the Renaissance, with the collaboration of five major libraries located in four countries and the support of the European Commission. 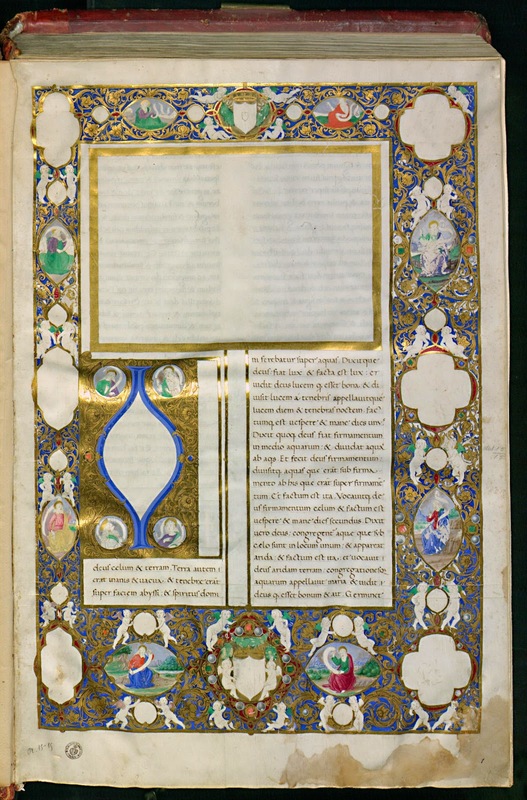 The project will draw together three collections of royal manuscripts that are currently dispersed and which represent European cultural activity at three distinct periods in history: the Biblioteca Carolina (8th and 9th centuries), the Library of Charles V and family (14th century) and the Library of the Aragonese Kings of Naples (15th and 16th centuries)." Several dozen manuscripts are already online.